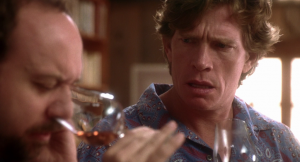 When aggrieved unpublished writer and recently divorced Miles (Paul Giamatti) brings his soon-to-be-married best friend Jack on a trip to the Santa Ynez Valley wine country in the days leading up to the wedding, he envisages a peaceful, epicurean retreat. 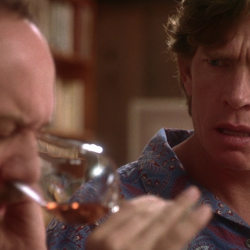 However, libidinous and uninhibited Jack – captured brilliantly by Thomas Haden Church – has something altogether less refined in mind. The screening will be followed by a wine-tasting event when customers can sample Californian wines from the Round Hill Vineyards: Zinfandel, Oak Free Chardonnay, Merlot and Cabernet Sauvignon (with charcuterie and cheese boards) in the IFI Café Bar. Tickets €20 (free list suspended).